If you’re not sure which hyperconverged system is right for your enterprise, keep reading to discover five reasons why HPE SimpliVity may be the answer you’re looking for. HPE SimpliVity hyperconverged solution provides scalable resources that offers all the functionality of traditional IT infrastructure—including compute, storage and data protection capabilities—in a single device, with a unified, VM-centric administrative interface. VM centricity and mobility enable all actions, policies, and management at the VM level, while global unified management and integration with established administrative systems streamline operations and improve IT agility. With HPE SimpliVity, your enterprise can rapidly deploy and scale hyperconverged building blocks to meet the changing demands of your organization. Not only can you deploy blocks, but with this network you can manage VM environments quickly and easily using the VMware interface. Not only is it fast to adjust the system to fit your needs, HPE SimpliVity also allows you to quickly view all data centers and remote and branch offices within a single interface. This ability to see your data quickly allows you to manage your resources and seamlessly move data across sites to where they are needed. Further, SimpliVity delivers peak and predictable application performance with a modern data architecture that is faster than other hyperconverged solutions currently available. With built-in resiliency, backup, and disaster recovery, HPE SimpliVity provides powerful data protection that reduces data loss along with lowering the risk of ransomware attacks on your enterprise. With the integrated HPE SimpliVity RapidDR, you can simplify and accelerate your disaster recovery efforts while also providing VM protection across primary and secondary sites. HPE SimpliVity also provides powerful encryption to secure even the most sensitive data, such as HIPAA and Sarbanes-Oxley, with HPE Secure Encryption—a level-1 validated solution that secures your sensitive data-at-rest. You can rest easy knowing your confidential information is safely stored on a powerful system with the resiliency, backup, and disaster recovery that will keep it out of the wrong hands. Enjoy the support and investment protection that only HPE can offer. When your enterprise deploys HPE SimpliVity, you’ll be able to reduce the number of devices in your data center by up to ten-times while also decreasing the total cost of ownership. When it comes to your enterprise’s primary and backup storage, this hyperconverged infrastructure is able to reduce the capacity and utilization by up to ten-times with always-on deduplication and compression. HPE SimpliVity lets you streamline your enterprise’s infrastructure, allowing you to dedicate your valuable resources on other areas within your organization. Enterprises today seek the agility, elasticity and affordability promised by cloud computing. However, IT organizations also want the performance, reliability and resiliency of on-premises infrastructure. HPE SimpliVity delivers both. 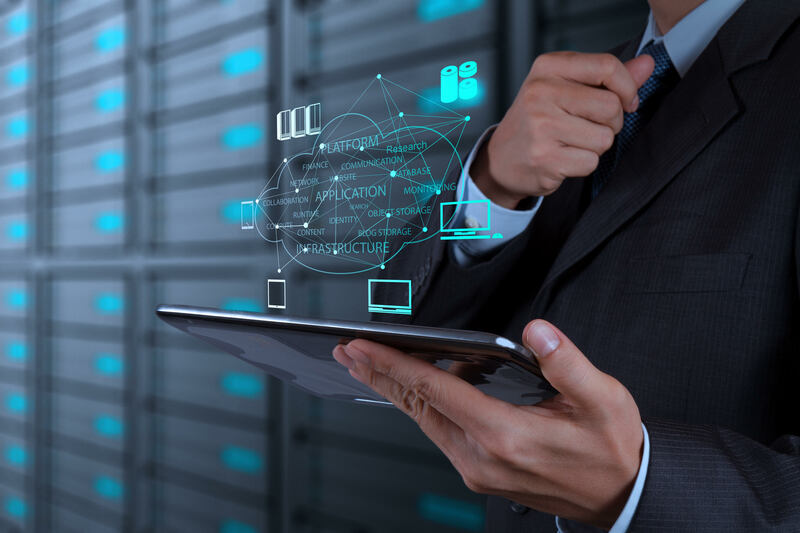 It offers organizations an affordable and flexible solution to start virtualizing their enterprise while also keeping the most sensitive data safe. As you can see, there are many benefits to deploying a hyperconverged infrastructure, and HPE SimpliVity is a great solution to consider for your enterprise. Want to know more about how this network setup can help you reach your business goals? Contact us today to talk to one of our experts about hyperconverged infrastructure. Next Steps: After absorbing this information, download our white paper, “The Future-Ready Data Center: Converged vs. Hyperconverged Infrastructures,” to learn how to differentiate your enterprise’s IT strategy on its path to data center modernization.